The early blooming crocuses are gone now but many of the giant species bloom later. They are in full bloom now in the church yard, all colors and sizes. I've found an entire crocus field there, with yellow dwarf daffodils blooming in the background. There are just a few days left till Easter. If you have small kids or you would like to hand-paint your Easter eggs, feel free to make use of my Easter egg template and coloring pages for kids, and not only. Their colours are so beautiful! Love the smoothness of your close ups. They are so pretty! 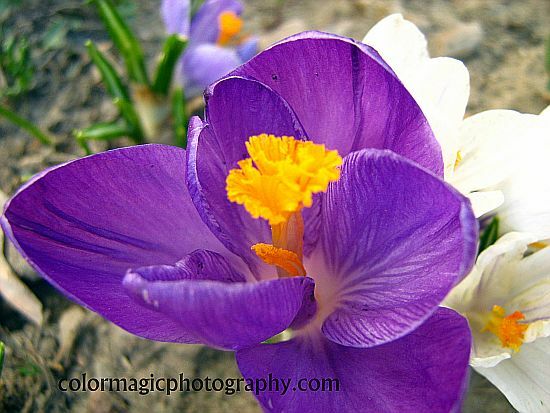 What a magnificent crocus, the colors seem richer than the early bloomers. such beautiful color, I only see white ones here. 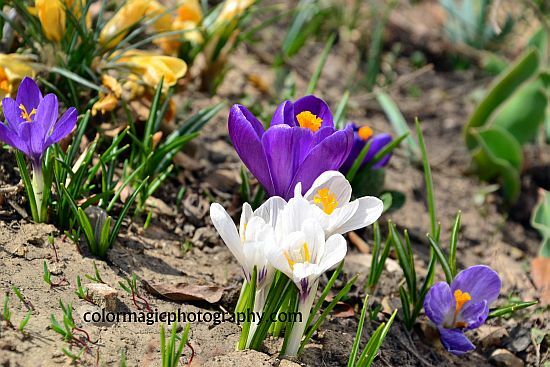 these crocuses are beautiful....I saw the first one here a few days ago...such a delightful surprise as it is very early for them to be blossoming her in NH! How amazing to capture them in macros when in their normal size some people hardly give them a second look! 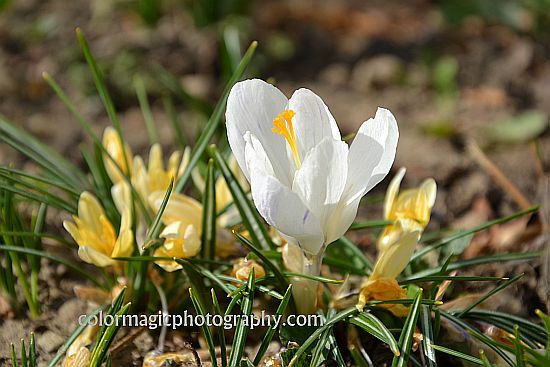 Crocuses are always so elegant in their beauty. Que cor linda esta flor!